After 8 years of private school annual giving and working on annual fund campaigns, my family has learned a lot about this topic. At our first school (Willows), we weren’t asked for a specific amount our first year. At our current school (Viewpoint), we were asked for a specific amount, which we happily donated. At both my kids’ schools, we’ve given generously but within the confines of our family budget. Our annual giving has increased each year, with the exception of one year at our previous school. 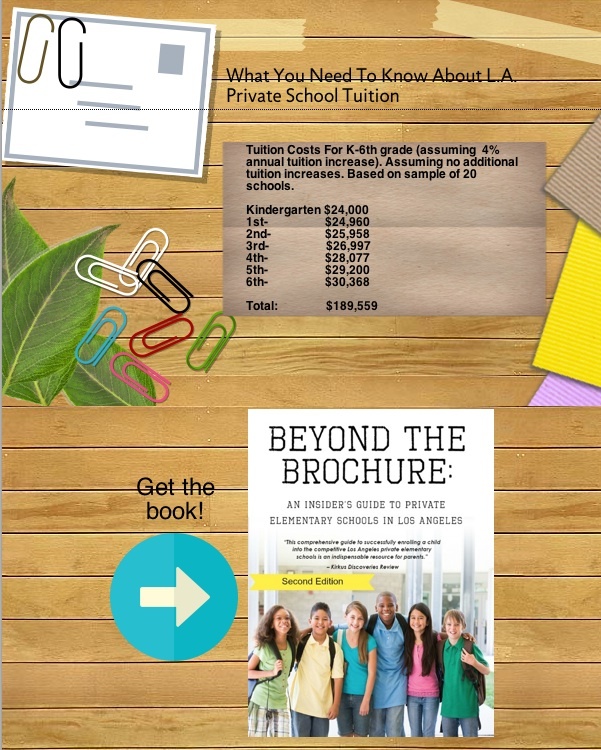 Here’s an infographic to break down everything you need to know about annual giving at private schools. How much will the school ask you for your first year at the school? What are the giving levels? Get the insider’s scoop below! Here’s our infographic to give you the dollars and cents (sense!) 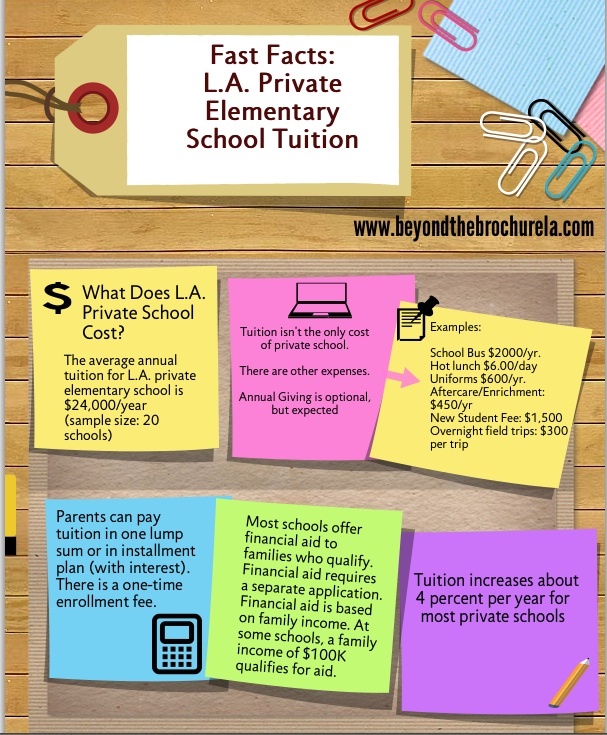 about L.A. private elementary school tuition. I’ve been a parent at two very different L.A. private schools over the past eight years. There’s a lot I expected to see (and I did) like luxury cars, Chanel handbags and enormous homes. But, some stuff has been truly unexpected. 1. The number of grandparents who pay their grandkids’ tuition. 2. The willingness of parents to pull their kids out of school for extremely fancy vacations to Thailand, Europe, Africa, Tahiti, Turks & Caicos and other destinations. 3. The amount of school and extracurricular activities per kid. 4. How little influence parents really have unless they’re a board member or the BFF of a board member. 5. The big HUGE emphasis on sports. Playing tennis together as a family is one of our favorite activities. 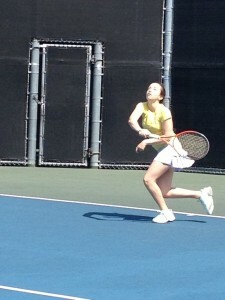 At Beverly Hills Tennis public courts. An article in The Economist, “Cancel That Violin Lesson,” encourages parents to stop piling on the lessons and give kids more time to play outside. I sighed loudly when I read it. Yet another article advising parents to lighten up on our kids’ over-packed schedules. Instead of cramming the schedule with private lessons for our kids, the article recommends we give them more unscheduled free time. This is exactly the opposite of what I’m seeing well-heeled private school parents do in L.A. Private lessons are the new status symbol. As my kids get older, I’ve noticed more of their friends and classmates taking private lessons of all sorts. When your kids attend private school in L.A., private lessons are a part of life for most families. It’s essential to the get ahead—and stay ahead—culture at highly competitive private schools. I’m not immune to this private lesson craze for my kids. But as I try hard to balance their activities, it’s getting more difficult. 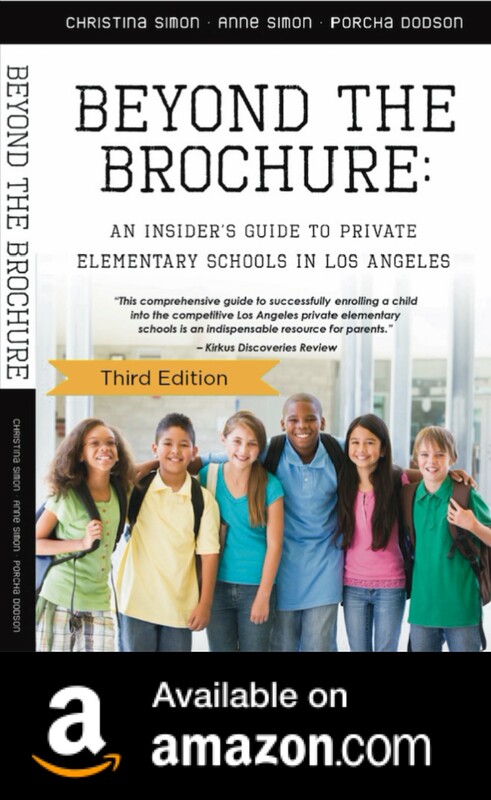 Kids at L.A. private schools take private lessons for everything. From goalie lessons to batting, hitting, quarterback, music, voice, skiing and fencing lessons, there are private lessons to help kids excel at virtually every activity. These lessons supplement the sport or activity. And it’s not just sports and music. There are tutors who help kids get organized (i.e turn in their homework or figure out which test to study for), in addition to assisting with academics. Instead of dropping the extra lesson, parents seem to be increasing the quantity of private lessons. Group lessons are a thing of the past. Now, it’s all about private, one-on-one lessons. When I hear that one of my kids’ classmates is taking private lessons in the same activity, I secretly wonder if my own kid should be taking private lessons. All my insecurities as a mom bubble to the surface. Will my kid be disadvantaged during a game when he competes with his teammate who takes twice weekly private lessons? I’ve largely resisted this urge with a few exceptions, primarily because private lessons for anything are expensive and very time-consuming. Participating in the activity should be enough, right? With the exception of music lessons (who can teach themselves violin? ), I haven’t felt the need to add private lessons aside from tennis. 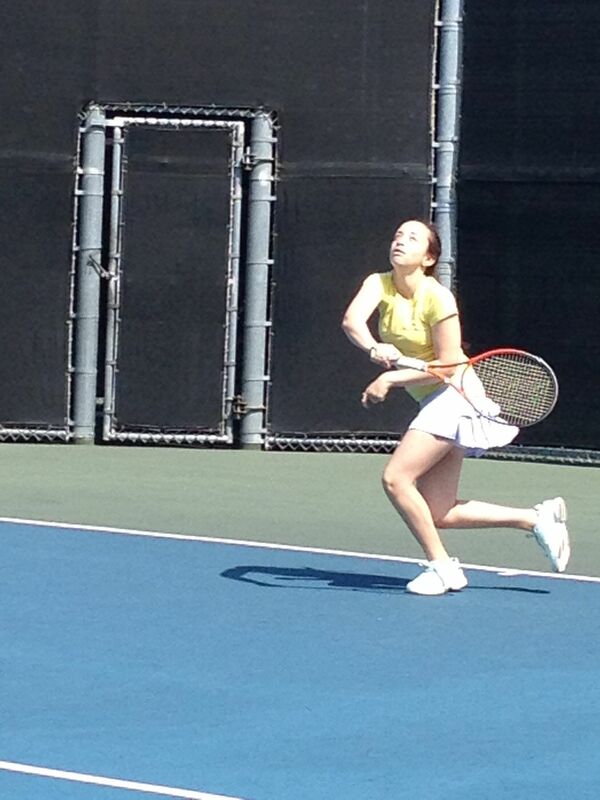 Being able to play tennis as a family is important to me. But, for the past year, my son has been to busy for tennis lessons. Go figure. 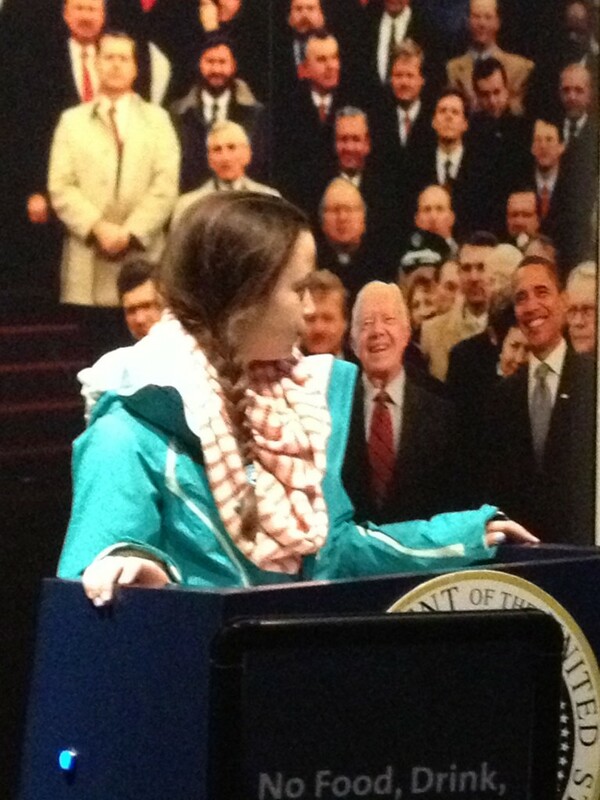 My daughter hitting it! 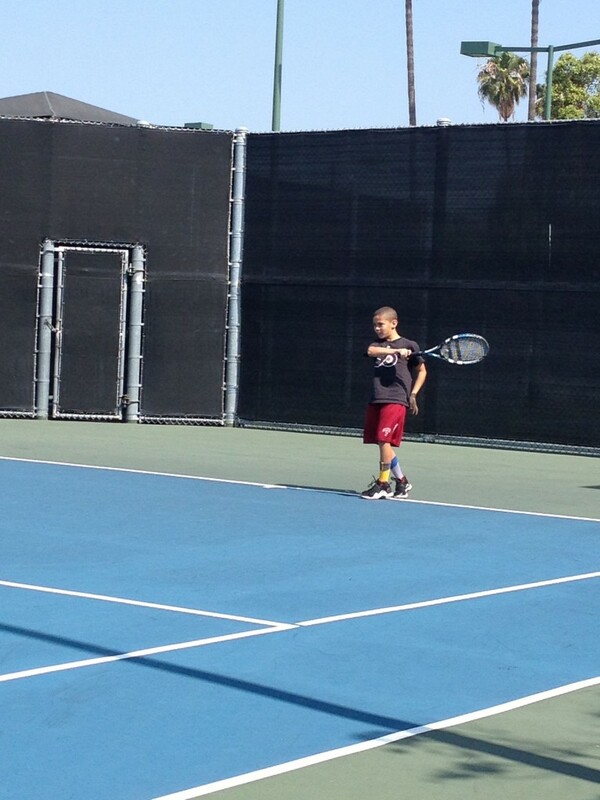 Family tennis. I don’t want my kids to assume that whenever they try a new activity, private lessons are required. But, when I hear that a kid on one of my son’s club sports teams was seen at the park with a private coach, I wonder if I’m doing the right thing. Sometimes, private lessons are a way to gain favor with a coach or instructor. It can mean playing time or other advantages for your kid. None of us want to be THAT mom who denied her child private coaching only to find him/her sitting on the bench during games. Sometimes, the pressure is really on. One of my friends increased her kid’s music lessons when another kid challenged her kid’s position in the middle school orchestra. My friend’s kid was able to hang onto the spot, but only after several months of extra $500 a week lessons. My daughter has an audition for the school Jazz Lab in the fall. I’m assuming her weekly guitar lessons will be enough to prepare her for the audition. There’s no way I’m going to cut out that lesson, even on the advice of The Economist. Not a chance.